Nuclear Fusion, Unlimited Power, YEAH! Nice one +Sundar Pichai. Looking forward to tomorrow's announcement! Had the Moto 360 for the past few days and it is a brilliant little device. There are lots of reviews out on the internet so it is pretty much pointless to write a review on it. This post is more about the Android Wear Platform and what things I want to see happening on both the hardware and software side to make it more of a mainstream product because currently in this form it is very much a beta piece of kit. But before I talk about this, one thing I have notice is on my Moto 360 is that the time goes out of sync whenever it has been disconnected from its phone. It only happens when the two devices goes out of range and disconnects, not when you deliberately disconnect the device. It does eventually sync back up but this should not be happening on a watch which primarily purpose is to tell the time. This has got to be fixed. As said earlier this is not review of the Moto 360 so I won't go too much into this hardware as there are lots of reviews out there that will do a better job than me. It is a solid but light device, the best looking wearable device by miles. The interface is smoother than I thought and the battery life is... "meh". It can easily last a day but really it should be hitting the 3 or 4 day mark for me... The sooner Yi Cui can get the coulombic efficient up from 99% to 99.9% the better (http://www.extremetech.com/computing/186952-stanford-creates-holy-grail-lithium-battery-could-triple-smartphone-and-ev-battery-life). In order for wearable technology to succeed this needs to be solved. 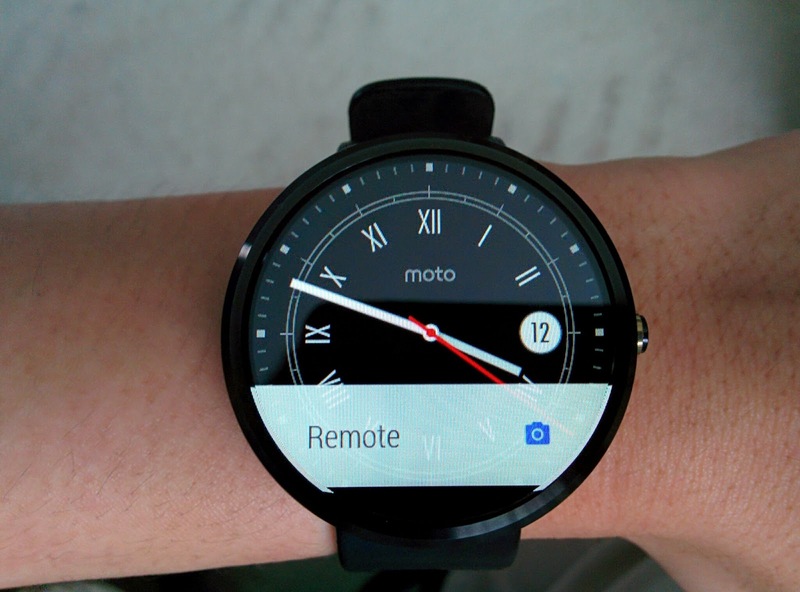 I would love to see NFC as standard on all Android Wear Devices. This will open up touch to pay for instance which is more convenient than taking out your phone and also because the footprint of the wearable is smaller, the success rate when touched to the receiving device is greater, meaning it will work first time. I believe there are many more use cases and innovation that will come out of NFC like automating or accessing rooms without keys, or even some social interaction. However there is a downside of this, Security. NFC I believe is secured, but the weakest link in security is not necessarily the protocol, but who has the access or the keys to use the protocol. 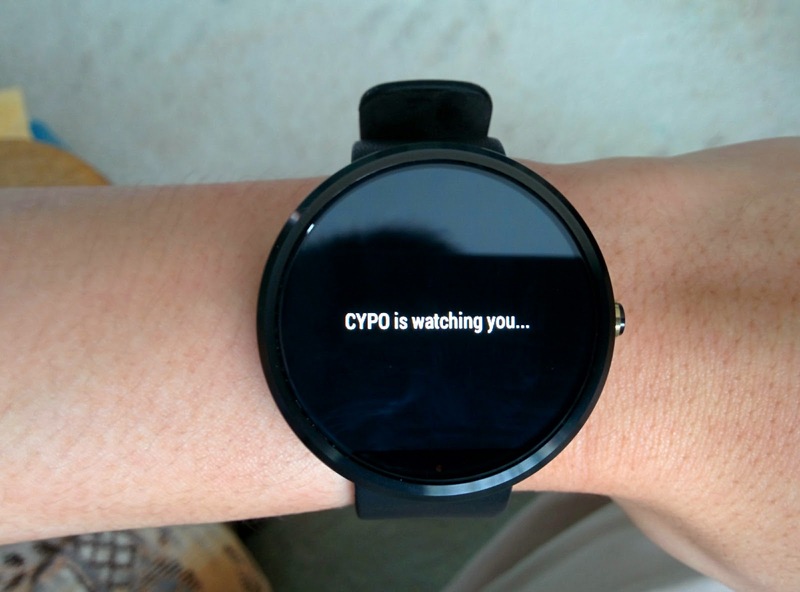 Security seems to be something of a second thought for the first version of Android Wear. There is no lock on the watch and anyone with access (if not worn on) can scroll through the notification and applications quite easily. Google has said that new version of Android Wear will allow the wearable device to be able to unlock your phone device through bluetooth trusted devices (you can do this already through 3rd party apps). The main problem here, and what I have said about the weak link in security earlier is that you are trusting a device, in this case the Android Wear device to unlock your Phone when the wearable is not even protected? This does not sound right to me... There are plenty of opportunity that the watch is off your wrist; when it is charging, when you are playing sports, when you taking a shower or even when you are mugged. At that point your watch is potentially leaking data to anyone who has access to the watch. Having a pinlock or pattern lock (3rd party apps available for this) on such a small screen solves the problem but is just stupid idea and defeats the purpose of a wearable device that is designed to quickly grab bits of information. It is a barrier to using the device if you have to unlock the watch over and over again. So how do you solve this? One solution could be the use of a proximity sensor. It is a fair assumption that when the watch is on your wrist that it going to be used by the person who has it on and that only this user has access/control over it. It is at this point that the watch should challenge the wearer that you are the owner/authorisor of the watch. I think entering a pin or pattern lock at this point is fair and that it should remain in this state until the user takes off the watch. By placing a proximity sensor at the rear of the watch would allow the device to know that it is on the wrist and after the challenge to authenticate the user will allow the device to stay authenticated until the proximity sensor senses that it is no longer in contact with the wrist. You could even use NFC to authenticate the watch with your phone. I think this simple solution will solve this security problem. The wearable device has one advantage over a phone. It should always be on you therefore the location of where you are is more defined, plus it is easily accessible. I think having a GPS on the device will again make the watch more of a standalone piece of kit. I do a lot of running, but I never run with my phone because it is big and bulky and I am afraid I will drop it, plus it is an added bit of weight that flaps around waiting for it to fall on the ground. Now running with a watch which can track my progress is much better than lugging a phone around. I know future Android Wear devices like the Sony Smartwatch 3 will have GPS but all 2nd generation wear devices should have GPS baked in. Now comes to Android Wear Version 1.0. It is a good effort from Google, but man is it beta. I mentioned earlier at the beginning that the time goes out of sync when disconnected with your phone. A watch that cannot tell the time properly? Google needs to fix that. I would like a proper baked in launcher. It is pretty much documented that it is a pain to get to the apps, so Google needs to fix that. I think the search on Google is clumsey. The voice recognition is not as good as on the phone and it is slow. This I believe can easily be fixed with a software update. I would like custom voice hot word and a watch that recognises only my voice (like the Moto X). But the main thing I would want to talk about is the UX. First the watch face. Love it, but I hate the notification peek card. It blocks your watch face. Yes you can dismiss the cards to clear it but that is not the point. I want to have those cards accessible for me to view them when I want to look at them not have 1 card being persistant all the time when on the watch face. Next thing I want to discuss about is the navigation system. When you are looking at your cards, you can swipe from left to right to clear the card or right to left to see more information of that card. Sometimes swiping right to left to see more information of the card does not work and you will have to tap on the card to see more information. Once you are inside the card, a swipe from left to right will get you back to the main screen of cards, but then sometimes you will dismiss the cards. Basically the system is inconsistent and it is confusing. This is how I would design it. The main list of cards will work the same way. You scroll up and down to see brief information about it. The difference is to dismiss the card away you can swipe left or right, instead of the just the left. To see more details of the card you will tap on the card. This is a deliberate interaction to the card and I think shows that you want to interact with it. Also there has to be an animated transition to show that you have clicked to go into the card. Once in the card you can swipe to the right to see more details or actionable functions depending on what the application offers. However one UI change I would have is an BACK arrow to the left of the first card. This is a hint to the user that to get back to the main stack of cards, a simple swipe from left to right will return you back. Also having a different animation to show this transition will not confuse the user on what he/she is doing. Basically adding material design to Android Wear. Android Wear has a lot of potential and has done a lot of things right. It has kept it simple and shows information that you need at just the right time (Google Now) and notification from your phone. It is simple to use and for a tiny screen that sits on your wrist, Google has got the right idea in design the software for this form factor. The next version of Android Wear should make things more intuitive to use, add more security but keep things simple. You would not want to "type" on this small screen for a start and that is a big NO NO. I also think maybe Google should open up API's to the Play Service to tap into the Google Now technology for application developers to launch cards to the user at the right time. Overall huge potential for Android Wear, but it is very much a beta piece of software which has got the basic right first time. I hardly use Facebook because I found it a bit annoying and seeing too many uninteresting topics on family and friends. Twitter I like for real time news, but Google+ I always seem to use but I just could not put my finger on why. I think Mike Elgan nailed it. You get to see articles which are carefully constructed and you see the effort put in by its creators which makes you come back for more. Mike Elgan articulate it brilliantly. A must read! The single biggest controversy about social media, and one that has persisted for two or three years now without resolution, is whether Google+ is a dying wasteland of non-activity, or a hive of conversation and engagement. It can't be both. So which is it? And why can't this fundamental question be answered? I believe I have the key to the puzzle, and I'll attempt to solve it once and for all.